Despite having the legion version of Twinferno for some time now, I've been chomping at the bit to get the larger warrior class toy. 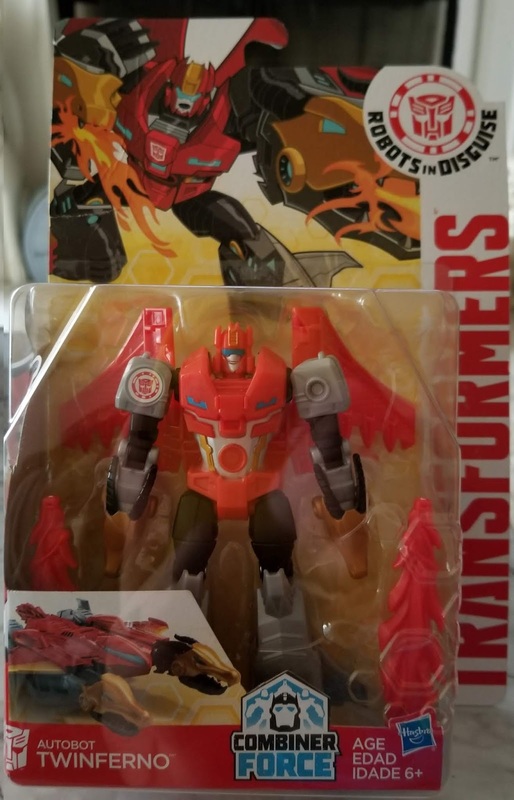 RID has featured some really great figures and Twinferno is one of the more imaginative Transformers to come along in some time. 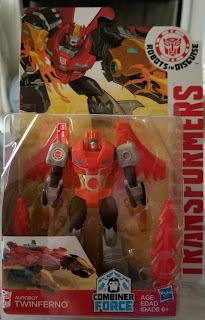 Twinferno is the newer trademarked name for the G1 character Doublecross, and while his Titans Return figure was a direct homage to the G1 toy, this is a new twist on the bot. 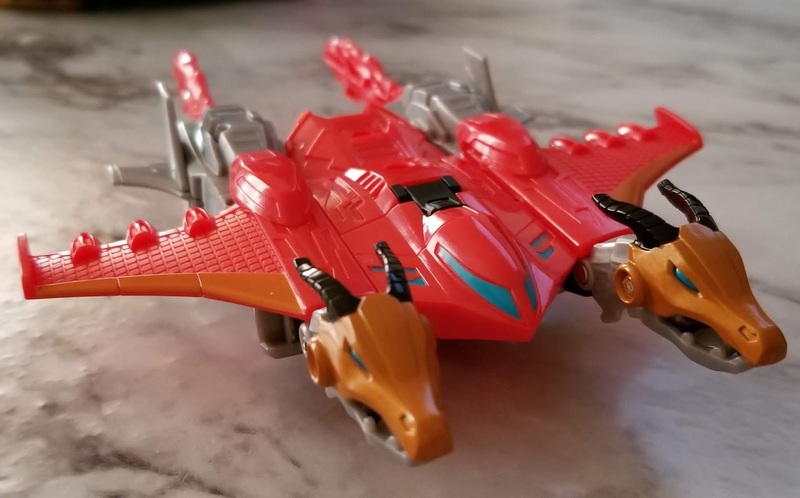 Instead of a double headed dragon, Twinferno changes into a spaceship with dragon headed pontoons. The ship is very similar to Samus Aran's ship from the Metroid game series, which lends to it's cool factor. Though with the two dragon heads, it's almost like some neat cyborg kaiju. Seeing as he's not used in any fiction, and his bio alludes to the two heads have two different minds, it's not much of a stretch to imagine him as some sort of cyborg space dragon. Is it realistic? Well, no, but considering it's 100% an imaginary creation, realism is out the window already. Twinferno comes with two fire ... thingies that can be held in the robots dragon heads to simulate them breathing fire as a projectile or maybe even some sort of flaming sword. Which is neat. 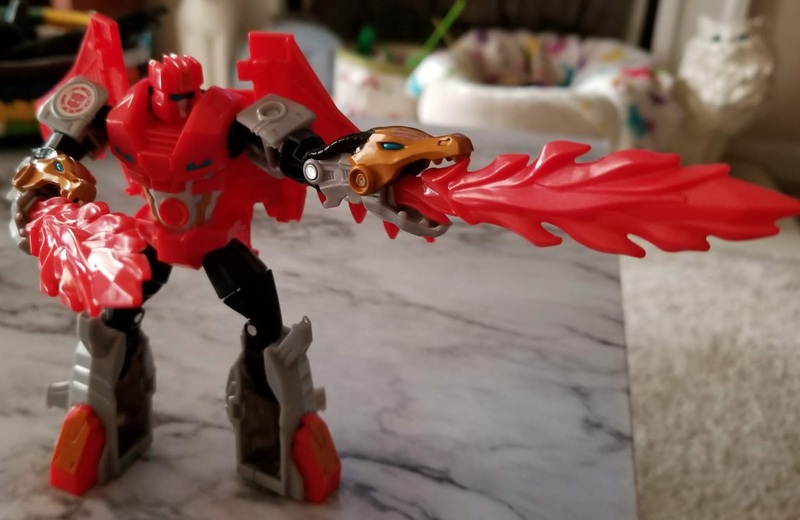 In vehicle/beast mode, the flame things can either be used as flames coming from the engine or in the dragon mouths as fire breath. This goes along with the cyborg kaiju idea a little more and come to think of it, he's kinda like a cross between the ship from Metroid, Ghidorah, and Gamera in his flying form. I don't know what the hell is going on here, but I like it. It's that crazy that just works hard for the money. So you better treat it right. Twinferno is a great toy whom has a name that causes more red underlines when I type it than I think is allowed (I rebel in the face of proper grammar). But, just as there's a ton of red underlines as I write this, his palette is so freaking red. 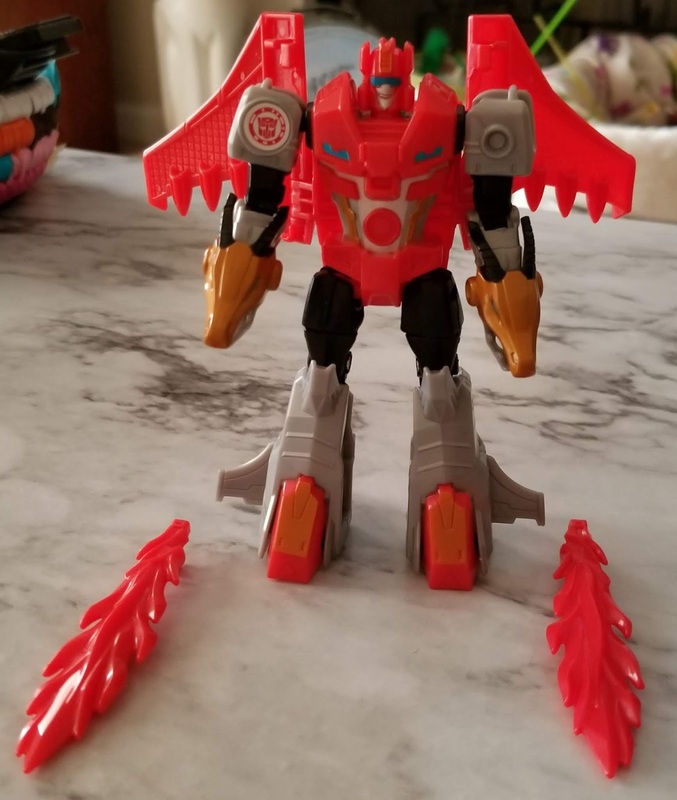 Just as the toy in a whole manages to homage the original Doublecross and reinvent at the same time, the colors do as well. It draws from the originals colors and mixes them around making Twinferno look like a Technobot. Which really works for the design as a whole. He could have another name and just be somebody else, while still being that guy. It's a super cool toy that both makes me sad for the end of the awesome Robots In Disguise (2015) line and look forward to Cyberverse as I can see some of the bleed over from the idea pool going in there.